Janel Quirante, ‘Uluʻulu Moving Image Archive head archivist, has been named a member of The Archives Leadership Institute‘s 2018 cohort. Quirante and two dozen other archival professionals were selected because of their leadership, potential to further contribute to the archival profession, professional organizational involvement, and service and support of diversity within the profession. Quirante will attend the institute at Berea College in Kentucky in June. The institute requires attendees to develop and conduct a practicum project, focusing on a problem theyʻd like to solve during the institute program. Quirante proposed a Community Sourced Metadata Project for Moving Images to describe ‘Ulu‘ulu’s digital collections and make them more accessible. She envisions that this project will recruit community volunteers, incorporate both an online aspect as well as a public programming arm, and most of all will be a fun, engaging way to bring the community and the archive together to achieve a common goal. The Archives Leadership Institute is funded by the National Historical Publications and Records Commission, a group affiliated with the National Archives and Records Administration. The institute provides advanced training for 25 archival leaders annually and provides them with the knowledge and tools to transform the profession in practice, theory and attitude. Quirante oversees the daily operations of ʻUluʻulu, The Henry K. Giugni Moving Image Archive of Hawaiʻi , which is located on the UH West Oʻahu campus and serves as the official state archive for moving images for Hawaiʻi. Quirante earned her master’s degree in Library and Information Science from UH Mānoa and holds a Digital Archives Specialist certificate from the Society of American Archivists. 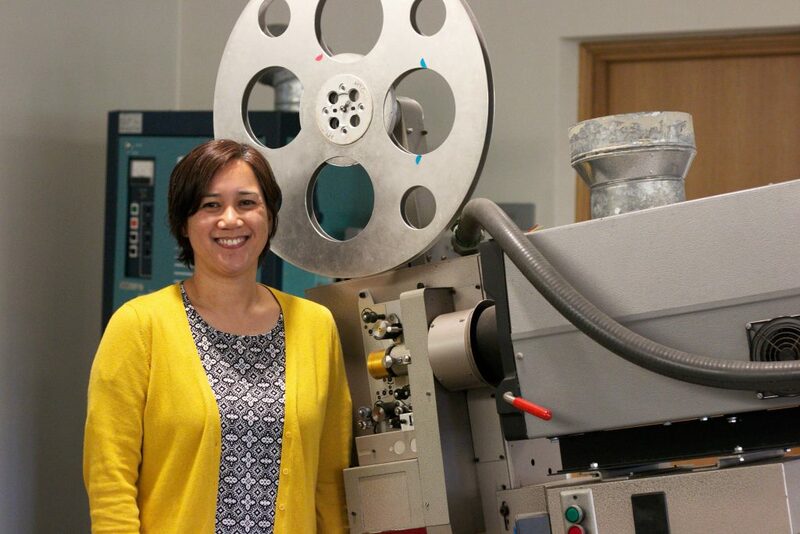 Prior to joining Uluʻulu, Quirante held positions as a videotape preservation technician at the Bay Area Video Coalition in San Francisco and as the Visual Materials Archivist at the Hoover Institution Archives at Stanford University. Tagged Berea College, ʻUluʻulu, Janel Quirante, National Historical Publications and Records Commission, The Archives Leadership Institute, The Henry K. Giugni Moving Image Archive of Hawaiʻi, University of Hawaii West Oahu. Bookmark the permalink.